“In the highly unlikely scenario that the barge begins to sink, please grab the life vests from under your bed and put them on,” says the captain. We look around at each other. Sink? The 12 passengers, clutching freshly poured “welcome aboard” flutes of champagnes, chuckle uncertainly. One guy takes a generous gulp. Laughter all around, as we hold up our glasses to toast the start of our six-day journey on the Adrienne, a luxury barge in Burgundy run by French Country Waterways. “Allons-y!” says the captain, who is a petite French woman. “Allons-y” we chorus after her. We’re all French speakers now, especially once the first of many Burgundy wines is uncorked. 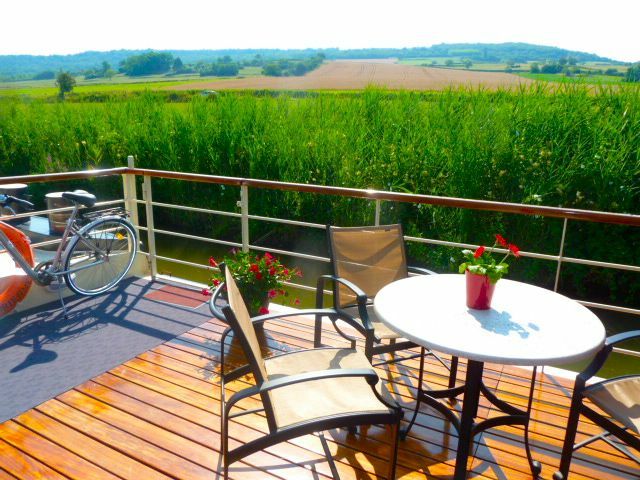 Traveling by barge – a “péniche” in French – is relatively little known to U.S. travelers. Perhaps the biggest surprise is the level of luxury. While “barge” may bring to mind industrial freighters belching smoke, here it’s the opposite end of the spectrum – a five-star hotel and restaurant floating quietly down shaded canals. On a French Country Waterways trip through Burgundy, it’s the journey and the destination. On our week-long adventure, the barge glides along leafy canals and the Saône River, stopping at family-run wineries like Domaine Briday in tiny Rully, in the north of Côte Chalonnaise, which is known for its white wines – Rully blanc – and the sparkling Cremant de Borugogne. The stately boat also noses up to the vineyard-covered banks to let us off at the handsome Chateau de Rochepot, as well as the medieval wine capital of Beaune and historical, mustard-scented Dijon. The culinary climax is a night out at the three-Michelin-star restaurant Lameloise. 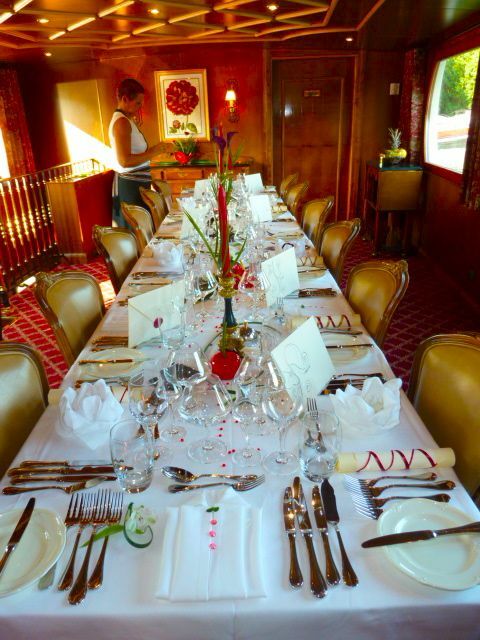 But, as one passenger noted, if he had to choose, he’d pick the on-board dining – it’s that good. And so is the wine. Allons-y! 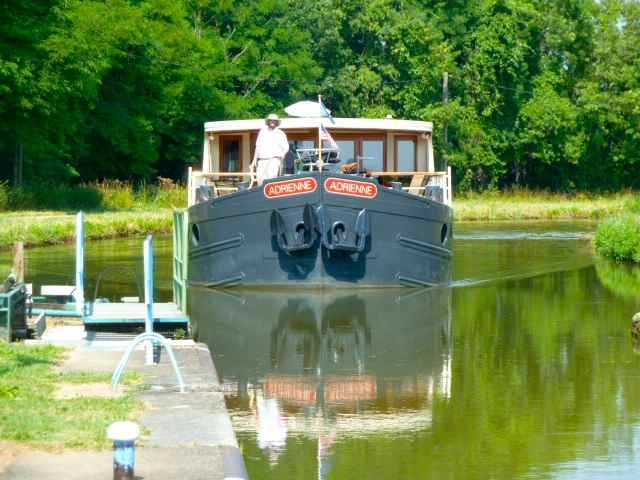 The 2014 French Country Waterways season launches in April. 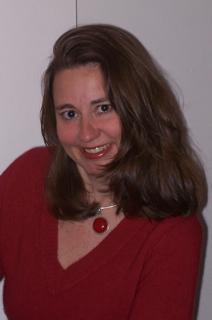 Stay tuned for my further coverage in websites and magazines this spring and summer.